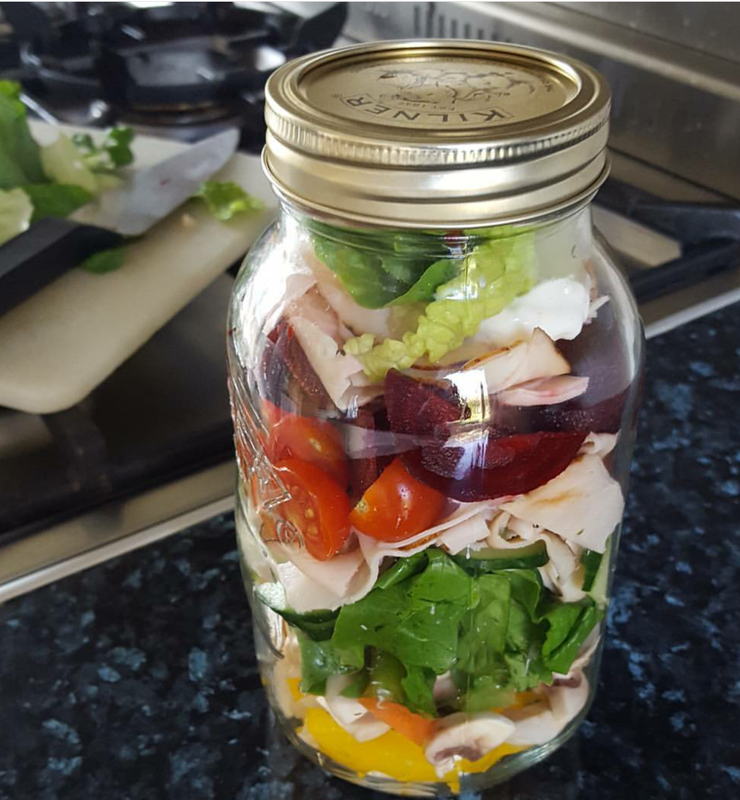 My salad in a jar! A colleague who is also trying to follow a healthy lifestyle has kindly obtained this super kilner jar for me. She has been bringing in to work some amazing salads. Here is my first effort. The idea is to make the salad attractive and tempting by layering the ingredients. It is best to put the dressing on the bottom and something hard like carrots above. I layered mine with carrots, mushrooms and a pepper then added tomatoes, lettuce, beetroot, cucumber and slices of turkey. Oh and another cheeky dollop of mayonnaise on top. A little tricky to eat but fun to stick your fork in and wonder what is going to appear. Delicious.